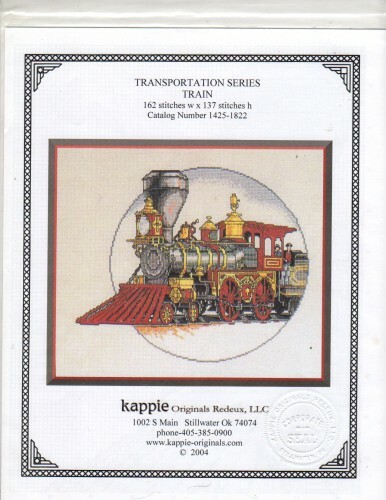 Kappie Originals Transportation Series Train counted Cross Stitch Pattern chartpack. Stitch count 170w x 140h. This chart appears to be in new condition.